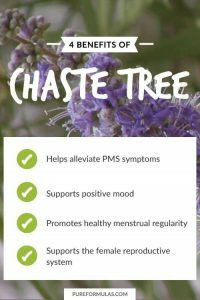 CHASTE TREE (vitex agnus cactus) to balance you hormones and nourish your ovaries. Women with PCOS have more of the male hormone ‘androgen’ than estrogens. Estrogens are also called ‘female hormones’. You’ll find chaste tree in tabs or liquid herbal extract at your health food store.